This guitar pedal effect cable is able to cut many a length you need. It is suited to perfessional musician who is strict with himself about his performance on stage. 1. Made of high-purity copper core. 3. Affordable and reliable DIY solder-free pedal patch cable kit. 4. 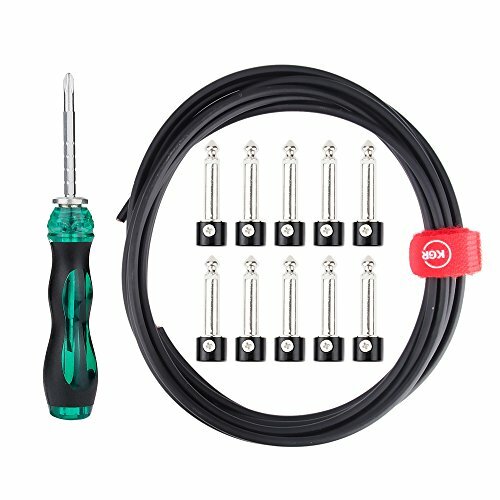 Includes 10' of cable, 10 Right-Angle Connectors, and screwdriver. Made of high-purity copper core, good at noise reduction. If you have any questions about this product by Leyin, contact us by completing and submitting the form below. If you are looking for a specif part number, please include it with your message. Power Supply for Guitar Effects Pedals"Accel Compact Power Source 6"